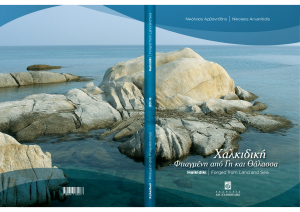 This book’s main objective and purpose is to present and showcase Halkidiki’s development potential and the opportunities that exist thanks to possibilities afforded by its rich natural environment. It primarily explains how people in the area, and Greek citizens in general, can come to terms –so to speak– with concepts and practices associated with productive exploitation of mineral resources, part of a lasting mining heritage and history, while also presenting how Halkidiki’s geology has developed over time and its current state. Halkidiki’s geological development and physiognomy demarcate, determine and characterise the potential and prospects for capitalising on the area’s natural wealth, and provide a roadmap to sustainable development, with one eye firmly fixed on the present and the other on the future. The central idea underpinning the composite practices presented in this work is harmonious co-existence; the idea that various activities can be carried out dynamically, side by side, to utilise the comparative advantages that nature has bestowed on Halkidiki. Those unique advantages have become the area’s key virtue, and their practical applications and results are visible all around us today. Click here to download the book. 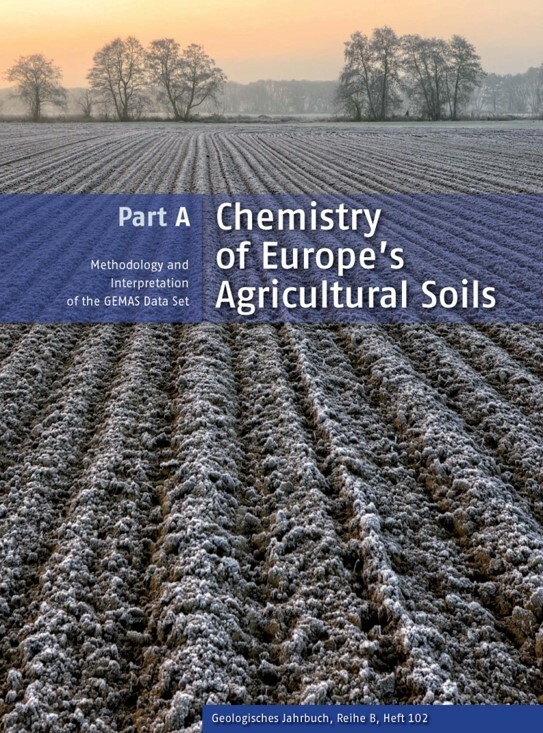 This two volume atlas presents the first complete overview of the chemical inventory of one of our most valuable natural resources: the soils we live on and which nourish us. For the first time accurate maps of trace elements and even precious metals like gold and silver can be studied in a continental spatial context, providing many unexpected insights and opening new avenues of further research in classical soil sciences, but also in mineral exploration, environmental sciences, forensic applications, and remote sensing. This book should be on the shelf of everyone who has a professional, administrative, or emotional connection to Europe’s soil. The atlas provides access to the first fully harmonised and quality controlled database of metals in agricultural and grazing land soil at the European scale. The two volumes are the result of a cooperation between more than 60 organisations from around the world. Project leader and lead editor is Clemens Reimann, who in 2013 was awarded the prestigious gold medal of the Association of Applied Geochemists as a leader in the fields of environmental geochemistry, geostatistics, and geochemical mapping. 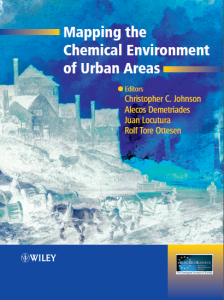 Christopher C. Johnson, Alecos Demetriades, Juan Locutura, Rolf Tore Ottesen (Editors), Wiley-Blackwell, Chichester, U.K., 616 pages, ISBN: 978-0-470-74724-7, Hardcover, The text focuses on the increasingly important issues of urban geochemical mapping with key coverage of the distribution and behaviour of chemicals and compounds in the urban environment. The book includes discussions on the potential impact on human health and description of the multi-disciplinary effort, usually supported by legislation, required to deal with the legacy of contamination found in many urban areas. 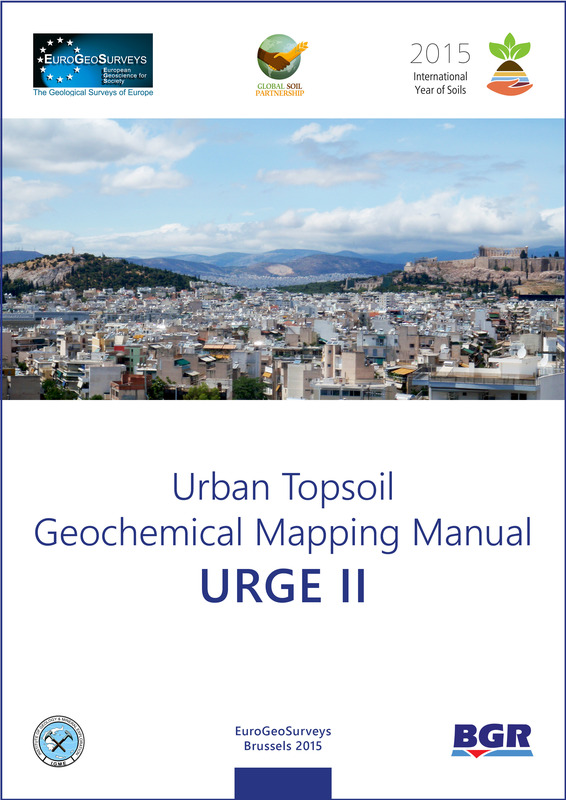 The second EuroGeoSurveys’ Urban Geochemistry Project (URGE II) aims to provide harmonised geochemical data about the current state of the quality of urban and suburban surface soil in European Union countries for multipurpose use. The results produced from such a survey should be of high quality and integrity, and to be legally defensible as they are very sensitive environmental health related data, because they inform us about the chemical state of our home, school, work and recreational environments, which affects our quality of life. The other objective of the URGE II project is to compare the geochemical results of the participating European cities. Such a comparison, can be made if all participating cities follow the same sampling, sample preparation, and laboratory analysis procedures. Hence, all topsoil samples will be collected according to an agreed field protocol, which is presented in this report. Subsequently, the samples will be prepared in just one central laboratory, and all topsoil samples will be analysed for the same suite of determinants in the same laboratory following a strict quality control procedure. 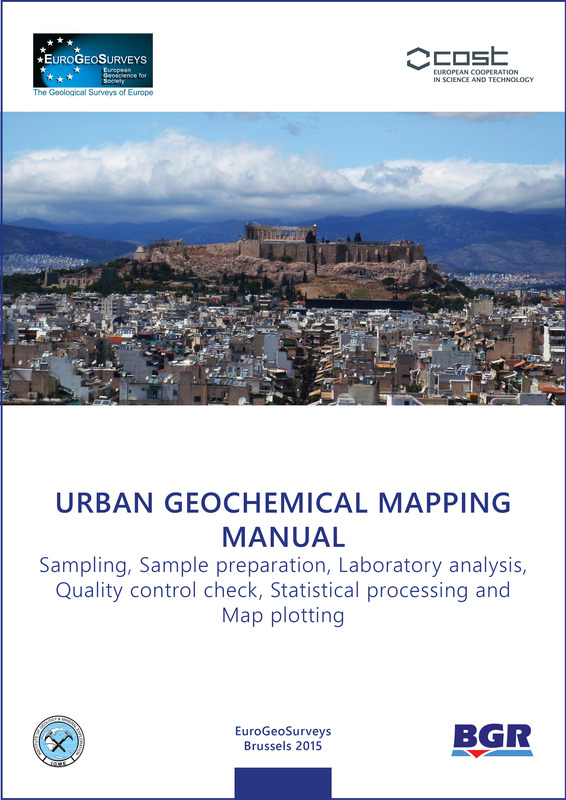 This Urban Geochemical Mapping Manual complements the “Urban Topsoil Geochemical Mapping Manual” by covering the most common sampling media used in urban geochemical mapping, i.e., topsoil, subsoil, house dust, attic dust, road dust/sediment, air particulates and bio-indicators, including human tissues (blood, urine, teeth, hair, nails, mother’s milk). It also describes sample preparation and storage, needs for reference materials, laboratory analysis, quality control procedures, guideline values, data checking, data processing and map plotting. Reimann &amp; Birke (eds.) 2010. XII , 268 p., 28 figs., 6 tab., 2 appendices.,67 element maps, CDROM, 27 × 21cm, ISBN 9783443010676,bound € 78. 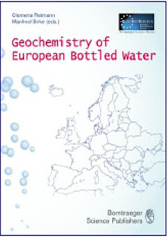 The authors present the chemical composition of 1785 bottled water samples from 38 European countries (1247 different sources at 884 locations) purchased by a network of geochemists in supermarkets during 2008. The IUGS/IAGC Global Geochemical Baselines Programme aims to establish a global geochemical reference baseline for >60 determinants in a range of media for environmental and other applications. The European contribution to the programme has been carried out by government institutions from 26 countries under the auspices of the Forum of European Geological Surveys (FOREGS) The main objectives of this European survey were: 1) to apply standardised methods of sampling, chemical analysis and data management to prepare a geochemical baseline across Europe; and 2) to use this reference network to level national baseline datasets. 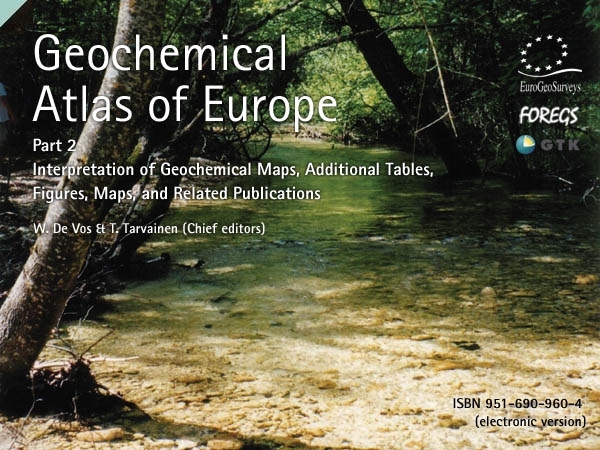 The focus of Part 2 is on understanding and interpreting the geochemical patterns displayed on the maps at the scale of the European continent. 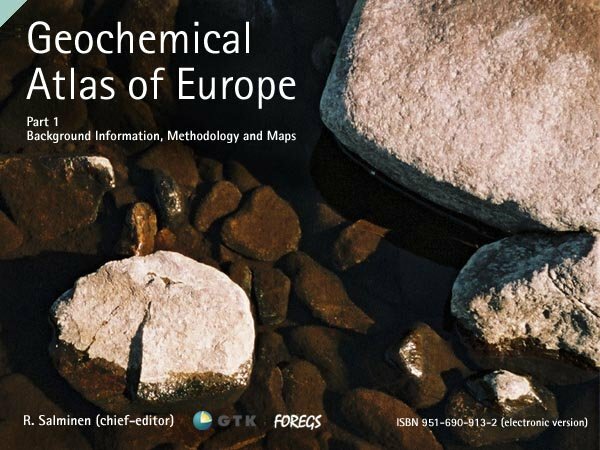 The EuroGeoSurveys-FOREGS geochemical baselines project provides European decision-makers with data about the chemical composition of the near-surface environment at the end of the twentieth century. This geochemical baseline survey provides us with invaluable information about the natural and human-induced concentrations of chemical elements in materials of the near-surface environment, where we live on, grow our crops, raise our livestock, and from which we extract our drinking water, and other raw materials, including mineral wealth. Our quality of life depends on the chemical composition of water (river or groundwater) and soil, whether residual (developed directly on bedrock) or alluvial (transported by river water and deposited during flood episodes on floodplains). 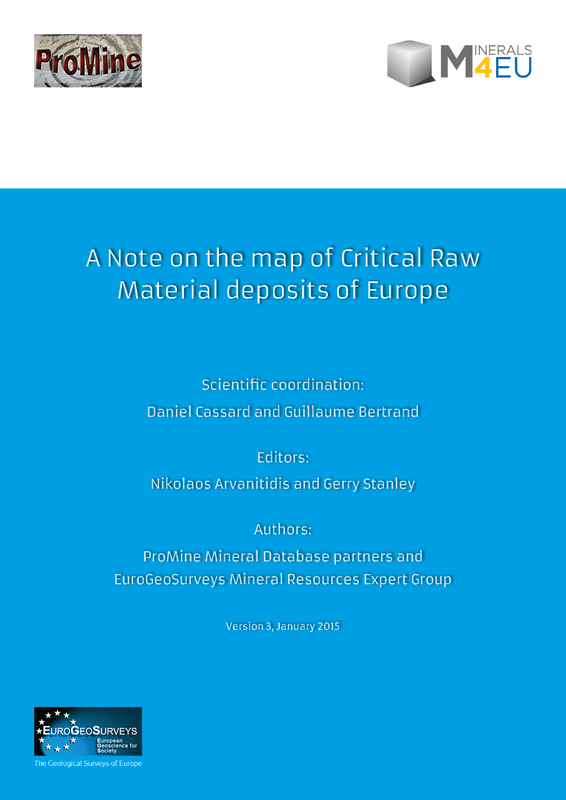 This document describes the Critical Raw Material (CRM) Map of Europe, version 3, released in December 2015 by EuroGeoSurveys Mineral Resources Expert Group. It shows European mineral deposits from the ProMine Mineral Deposit database as containing critical commodities, according to the list of critical raw materials of the European Commission.